University of Georgia Cooperative Extension agronomist Jared Whitaker is researching ultra-late-planted soybeans, a potential solution for low soybean yields and even lower corn prices. In research trials at the UGA Southeast Research and Education Center in Midville, Georgia, Whitaker is studying the effects of growing late-planted soybeans after corn. The results present encouraging news for south Georgia farmers looking to overcome plummeting prices while maximizing resources. 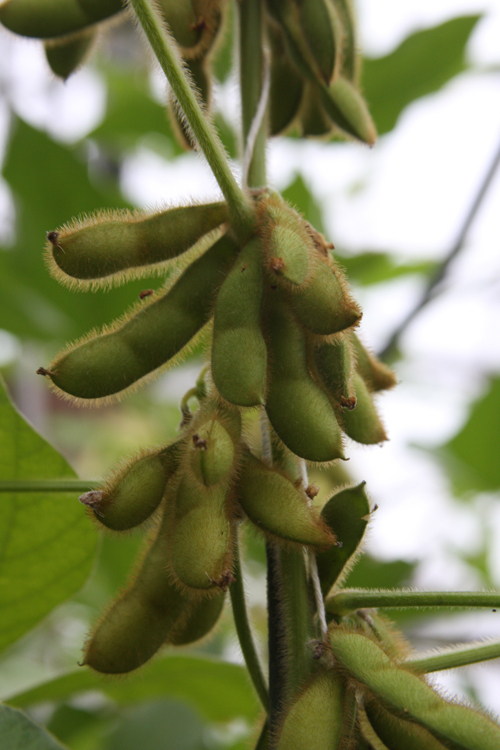 In both 2013 and 2014, Whitaker grew more than 50 bushels of soybeans per acre from the crop planted on Aug. 9. With corn prices currently at $3.70 per bushel — a 70-cent drop over the past month — late-planted soybeans could be an option for growers to consider. Several factors contribute to ultra-late-planted soybeans being an option for Georgia farmers. For those producers already paying land rent, Whitaker and UGA peanut economist Nathan Smith suggest that farmers grow another crop, since they’re already paying rent. Also, soybean and corn production require much of the same equipment, which allows farmers to maximize their resources. While there are multiple factors that point to the benefits of late-planted soybeans, Whitaker and Smith stress that the farming practice is not for everyone. Farmers need to have access to irrigation, since the ability to provide water to eliminate stress, which would potentially delay maturity, is a must. “This is a race against frost, and everything has to go as planned for the system to work,” Whitaker said. Planting late soybeans also adds costs associated with weed control, disease management and the additional nitrogen needed to get the crop off to a fast start. More importantly, Whitaker only reached the 50-bushel mark with a narrow row configuration (7-inch, no-till drill) and by planting more than 200,000 seeds per acre. He also had to plant the proper variety and plant before Aug. 10. When Whitaker used wider rows, planted later, got poor plant stands or didn’t water the crop adequately, yields dropped dramatically. Smith said that Georgia farmers aim for 70 bushels of soybeans or better during a full growing season. For late-planted beans, achieving 35 to 40 bushels would be worthwhile to offset low corn prices as well as dipping soybean prices that have dropped $1 per bushel over the previous two weeks. Through a working budget that accounts for variable and fixed costs, Smith believes a 40-bushel yield at $7.50 per acre would be required for farmers to break even on cash costs. Soybean prices are currently $9.30 for November futures and $8.78 for cash price. Whitaker was motivated to start the research project in 2013 after hearing south Georgia growers’ farming success stories. The UGA College of Agricultural and Environmental Sciences’ Statewide Variety Testing program helped evaluate the project’s performance. Whitaker said his confidence in the system will grow if he sees it consistently work. He plans to share more details at growers’ meetings this winter.